For many homeowners in Lexington, the importance of gutters is often overlooked or understated. Gutters are one of the main lines of defense against water damage, which can cause major problems to the walls, landscaping and even the foundation of your home. With the proper protection and maintenance, your gutters could last decades or, in some cases, the life of your home. But how do you know when it’s finally time to replace them? The following 4 signs are sure indicators that your gutters need to either be repaired or replaced. #1 How Old Are Your Gutters? According to the International Association of Certified Home Inspectors (InterNACHI), they state that the average life expectancy of gutters is 20-40 years. Of course, which end of the spectrum your gutters land on depends on two main factors: material type and proper maintenance. Aluminum or galvanized steel gutters are expected to last at least 20 years. 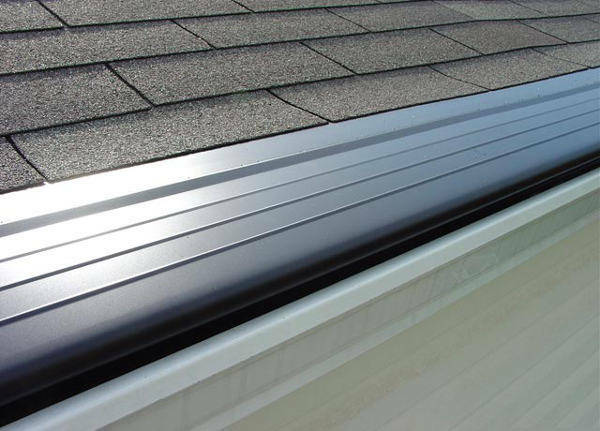 Aluminum is the most popular gutter material, as they are lighter, easier to install and require the least amount of maintenance. 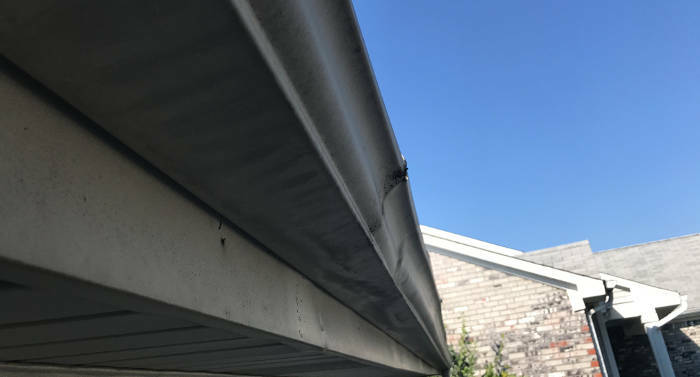 Steel gutters are less resistant to rust than aluminum gutters, meaning they have to be checked and cleaned more regularly than aluminum gutters. Copper gutters can last the life of your home. However, they are one of the most expensive materials and are much more difficult to install than aluminum gutters. Copper is also extremely valuable, so depending on the area your home is in, this type of gutter could make your home vulnerable to theft. Clean your gutters regularly (2 or more times a year) to ensure they are free of debris. Clogged gutters prevent water from being properly directed away from your house, causing damage to your gutters and ultimately, your home. Don’t rest ladders against your gutters, as this could result in denting. Consider leaf guards, which will prevent large debris from clogging your gutters as well as keeping animals from building nests in them. Leaf guards extend the life of your gutters and make cleaning your gutters one less thing to worry about. Standing water in your gutters could mean that they are no longer sloping correctly. This could cause your gutters to rust prematurely, but it also provides breeding grounds for mosquitoes, which can put your family at risk for a variety of diseases. Other signs of improper draining include standing water or visible signs of mold outside of your home. 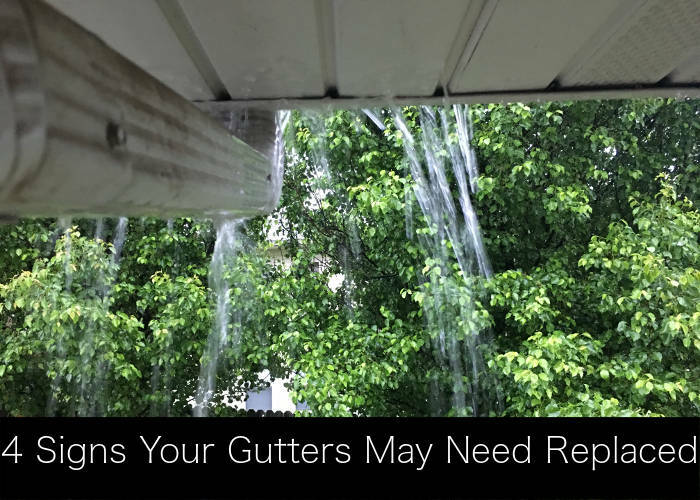 This could be the result of bad installation or years of wear and tear on your gutters. With Lexington Blue, your gutters are guaranteed to be installed correctly. 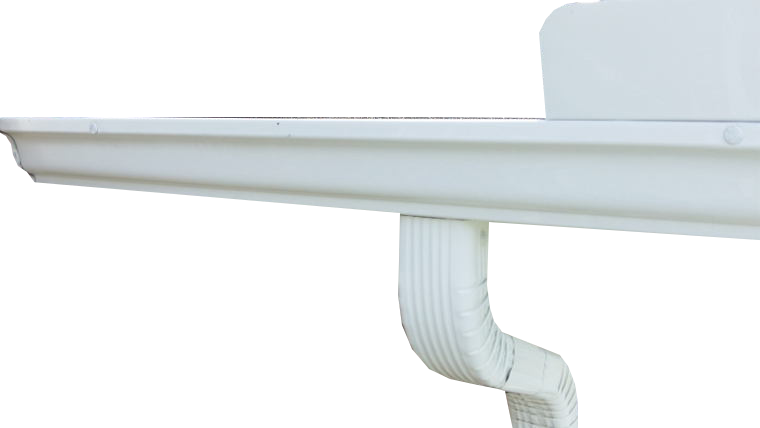 Our services for gutters ensure the appropriate attention to detail that your home deserves. If you are noticing cracks in the foundation of your home, flooding in your basement, water damage, or mold, you may have faulty gutters to blame. If your gutters are not properly directing water away from your walls and foundation, you may end up looking at some costly home repairs in the future. Whether you’re ready for an estimate on new gutters, would like to add leaf guards, or would like to schedule an inspection for your current gutters, rest assured our services are provided with a dedication to quality workmanship at an honest price. As always, our inspections are free. You’ll be met by one of our qualified team members where you can expect to receive fair and unbiased advice. 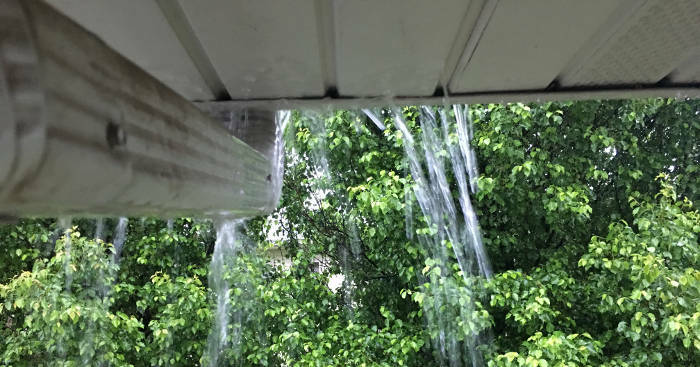 Trust Lexington Blue to ensure your home’s gutters are keeping it protected.